Ice Breaker Tournament - College Hockey, Inc. 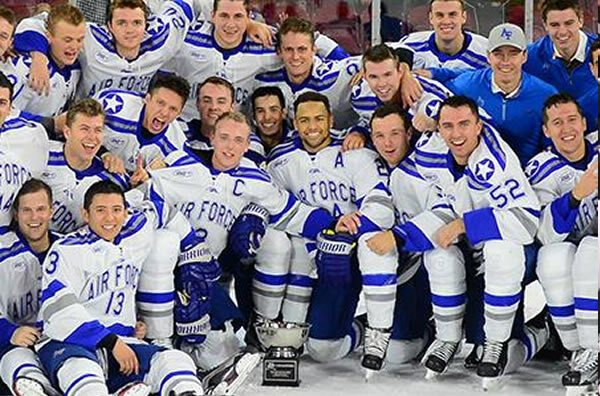 The annual Ice Breaker Tournament marks the traditional start to the college hockey season. Celebrating its 22nd season in 2018-19, the Ice Breaker brings together four of the nation's top teams from different conferences. Michigan Tech captured the 2017 Ice Breaker title in a field that featured three teams that have won NCAA titles in the last 15 years. Minnesota Duluth hosted the tournament at AMSOIL Arena and went on to become the second straight host school to win the NCAA championship the following spring. A terrific opportunity to put the spotlight on college hockey just as the season gets underway, the Ice Breaker also provides a tough early season test for some NCAA championship contenders. Past Ice Breaker champions include Boston University (three times), Minnesota (three times), New Hampshire (twice), Boston College (twice), Air Force, Colorado College, Denver, Michigan State, Michigan Tech, Nebraska-Omaha, North Dakota, Notre Dame, St. Cloud State and Vermont. The event has taken place at a mix of on- and off-campus sites, visiting top venues such as Xcel Energy Center (St. Paul), Scottrade Center (St. Louis) and Kohl Center (Madison, Wis.). The 2018 event will be held in Erie, Pa., at the Erie Insurance Arena, with Mercyhurst University and the Erie Sports Commission serving as hosts. Miami, Notre Dame and Providence will join the Lakers in pursuit of the tournament title.